The day you move house is a stressful day. Relocating an aquarium in the middle of all of that commotion is doubly stressful. 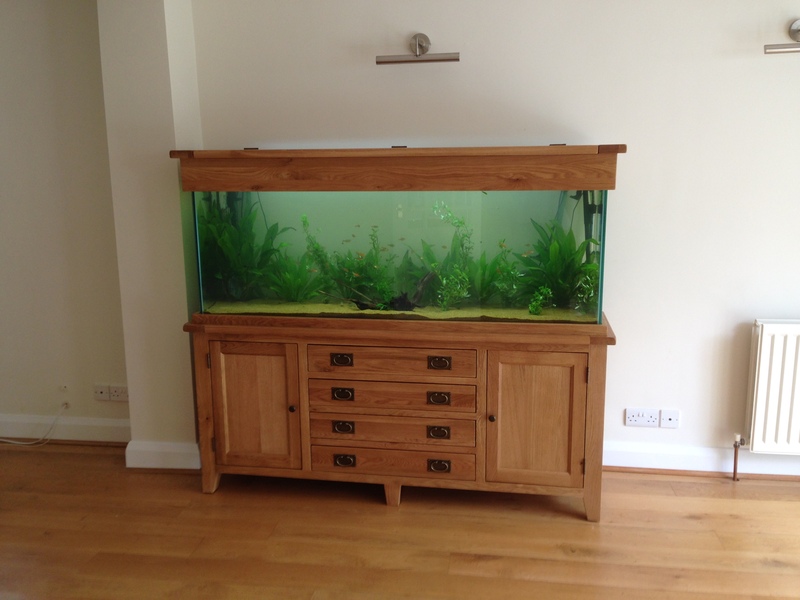 At Fishkeeper Plus we offer an aquarium moving service that takes care of everything for you. We take every drop of water with us and move all of the livestock in suitable containers so that they are safe during their journey. Just wanted to say a huge thank you to you guys for helping me move home earlier. Your service was excellent! Although a slight issue with traffic problems you didn’t let me down. You kept me informed of everything that was going on and my fish didn’t even seem to notice they had moved home! The tank was set up exactly where I wanted it and exactly as it had been before. I hope that if others out there are considering using you they get to read this and see what a good service you offer! I couldn’t have been happier with you guys, I will definitely use you again. Thanks guys! Awesome professional service, we had our aquarium moved to our new flat today and the whole process was speedy and smooth. Very happy with your service would recommend to everyone! An excellent, affordable service for which I am truly grateful. I’m an amateur aquarist and needed help transferring my 15 tropical fish plus some live plants from my original 60 litre tropical tank to a new 115 litre tank and just before Xmas! Giles and his team were efficient, friendly and they made the whole job so easy; I was really impressed. You guys helped me move home earlier in the month, your service was excellent! Although a slight issue with traffic problems you didn’t let me down, you kept me informed of everything that was going on and my fish didn’t even seem to notice they had moved home! The tank was set up exactly where I wanted it and exactly as it had been before. I hope that if others out there are considering using you they get to read this and see what a good service you offer! I couldn’t have been happier with you guys and I will defiantly use you again.